Size isn’t everything. Case in point: the 2019 Nissan Versa Note. The vehicle just isn’t one of the brand’s smallest offerings; rather, it’s one of the smaller vehicles in the entire industry. However, the smaller stature doesn’t mean that the nameplate should be ignored, as engineers added a number of amenities that should make it one of the more popular options at a Nissan dealership. For instance, despite being small, the vehicle manages to deliver a whole lot of power. The interior is filled with technological features, including a number of safety capabilities, and drivers can also take advantage of a surprising amount of interior space. You probably never thought that such a tiny vehicle could actually deliver such big specs and amenities. Considering the smaller stature of the 2019 Nissan Versa Note, it shouldn’t be all that surprising that the vehicle is equipped with an incredibly tiny engine. While the smaller stature has a predictable impact on performance, drivers will be more than happy with the impact this ultimately has on fuel efficiency. The 1.6-liter engine does provide a surprising amount of muscle, promising drivers up to 109 horsepower and 107 pound-feet of torque. When you combine these specs with the brand’s renowned steering functions, drivers will realize that the nameplate actually delivers an enjoyable driving experience. However, the 1.6-liter engine truly makes a name for itself thanks to the fuel efficiency specs. Partly due to fuel-saving technologies like the innovative Xtronic Continuously Variable Valve transmission, drivers will have the opportunity to capitalize on a practically-unmatched 39-mile-per-gallon fuel efficiency. 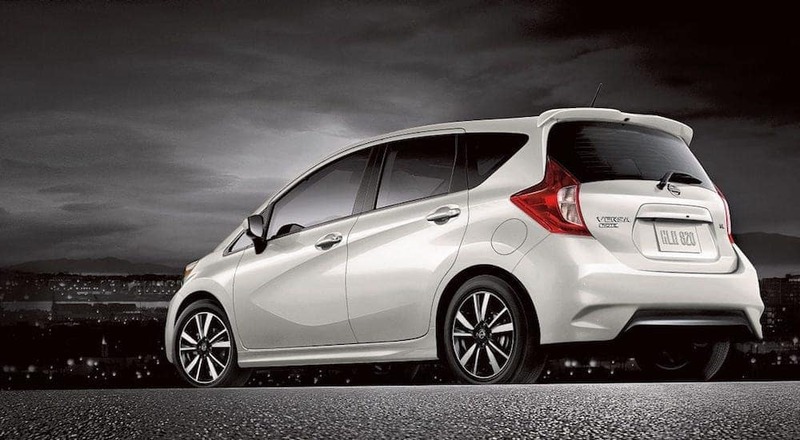 You’ll already have an opportunity to save a chunk of cash when you pursue the 2019 Nissan Versa Note, but the fuel efficiency specs will also benefit your wallet. The 2019 Nissan Versa Note may be small, but the nameplate manages to provide occupants with some big-time technological features. These amenities won’t only keep occupants entertained during any excursion, but they’ll also play a role in boosting convenience (which vicariously has an impact on your overall driving experience). It starts with the vehicle’s seven-inch color touch-screen system, a unit that will ultimately serve as the driver’s personal concierge. Drivers can rely on this technological inclusion to access a variety of notable applications, including a reliable navigation system. The unit also includes Apple CarPlay and Android Auto compatibility. That way, instead of having to glance down at your smartphone while taking your eyes off the road, you can simply rely on the touchscreen to make phone calls or send text messages. The brand even added the innovative Siri Eyes Free technology. With a simple click of a button, drivers can easily have access to Siri, allowing them to use their voice to activate any of their phone’s most basic features. The technology doesn’t end there. If you’re looking to become a front-seat DJ, then you’ll appreciate the Bluetooth Audio system, which allows you to stream your favorite playlists or podcasts. If you’d prefer to rely on the radio, then you should consider opting for the SiriusXM Satellite Radio. With more than 100 channels to choose from, you’ll never be lacking for options. There’s even a USB input, meaning you can simply plug in your phone in order to jam out to all of your favorite tunes. Meanwhile, the cleverly-placed information gauge was strategically placed right in front of the driver, meaning they’ll never have to contort their body in order to access this essential information. The brand’s Intelligent Key means you won’t have to finagle for your keys when trying to access your cabin; assuming you’re equipped with the fob, a simple click of a button will do. There’s even a Push Button Start, thus reducing your reliance on your key. Here’s one attribute that you probably weren’t expecting from the 2019 Nissan Versa Note: cargo space. Despite being one of the brand’s smallest offerings, the nameplate still manages to provide drivers with more than enough space to fit all of their cargo. For starters, the Versa’s trunk provides more than enough space to fit whatever you’d need for your daily journey, as owners can take advantage of the 14.9-cubic-feet of space. Plus, thanks to the inclusion of the 60/40 split fold-down rear seats, you’ll have no issues transporting those longer or more cumbersome pieces of cargo. Engineers even added several clever hiding places for your most valuable cargo. The glove compartment provides more than enough room to fit your phone, wallet, and any other gadgets you’ll need during a commute. The front door pockets are a clever place to store notebooks or maps, and the cup holders provide another spot for that water bottle. Of course, there’s also the center console cup holders, which is good from a practical standpoint (holding your cups) or creative standpoint (a de facto piggy bank). Nissan is focused on keeping you and your passengers safe and protected throughout any journey. That probably explains why engineers included so many safety functions to the 2019 Nissan Versa Note. These various inclusions won’t only keep occupants safe in the event of an accident. Rather, they’ll play a major role in preventing those collisions from occurring altogether. For instance, the Vehicle Dynamic Control will optimize your steering and braking, assuring that you’re always in control. That way, if you happen to come across a patch of wet road, you can rest easy knowing that your vehicle has your back. The Traction Control System plays a similar role, promising drivers that the 2019 Nissan Versa Note will always have an optimal grip of the road. If you find yourself constantly relying on your vehicle’s brakes, then you’ll also appreciate the Anti-lock Braking System and the Electronic Brake Force Distribution. These two functions play a role in optimizing stopping power, which could vicariously help to prevent any accidents. In the event of an emergency, the Nissan Advanced Air Bag System will assure that all of your occupants are receiving top-notch protection. The brand even included the Lower Anchors and Tethers for Children (which is affectionately known as “LATCH”), assuring that your younger occupants will be protected during any crash. Now that you’ve realized that the 2019 Nissan Versa Note is, in fact, the perfect choice, it’s time to start the car-buying process. 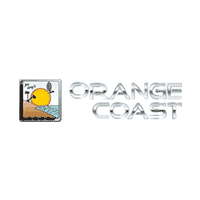 Well, if you live in the Costa Mesa, California area, then there’s truly no better place to make that purchase than Orange Coast Nissan. With a huge inventory and competitive prices, you’ll always be able to find a vehicle that fits your needs and budget. Plus, their various services (including a finance department) will come in handy throughout the car-buying journey. If you’re looking for a dealership that actually cares about its customers, then you’ve come to the right place. So what are you waiting for? 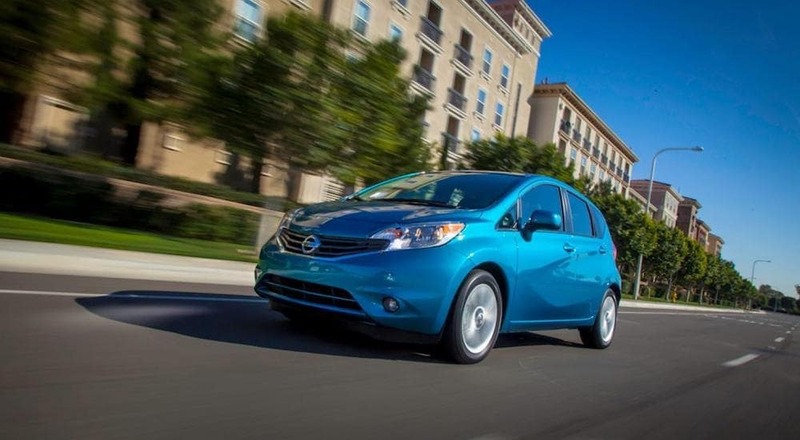 If you’re impressed with the 2019 Nissan Versa Note, then head out to Orange Coast Nissan today. Before long, you could be cruising off the lot in your brand-new car.